Overwatch fans should be happy to know that Blizzard has released the game’s 30th hero. The hero’s name is Baptiste and he fits in the support class. 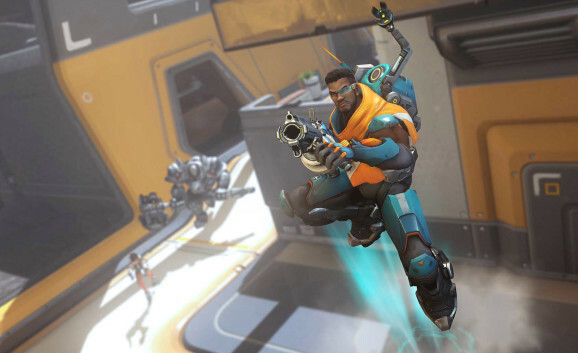 Baptiste is currently available only on the game’s test servers and only players who are enlisted in the beta can test his skills. Nonetheless, today we are going to present Baptiste’s abilities which are quite interesting. Just like all other Overwatch heroes, Baptiste has his own set of special skills and they classify him as a healer. Baptiste has a gun that deals not-so-bad damage at a medium range and he can also throw a grenade that will heal allies. There is a third ability that Baptiste can use in order to heal himself and his allies for a short period of time. However, the ability that is going to make everyone want to try Baptiste is his ultimate. The hero’s ultimate creates a transparent wall, but this skill is not used defensively and instead, it can be used in order to empower the attacks of other heroes that shoot their ranged attacks through the wall. This ultimate ability makes Baptiste a great hero to have around heroes such as Soldier 76 and Widowmaker. As if the skill kit of Baptiste didn’t sound impressive enough, the healer also has a special ability that deploys a small cylindrical shield. This shield doesn’t block any damage and instead, it protects everyone that is hiding beneath the shield from dying, thus making everyone immortal. The way this works is that the Baptiste’s shield will not let the life of allies to drop lower than zero. This ability is going to encourage teams to stack which is not always a good idea when fighting against heroes such as Hanzo, Zarya or Junkrat who can cause major problems to teams who stack.